Prior to 1937, the German automotive industry was dominated by luxury car manufacturers that produced cars most Germans couldn’t afford. In fact, only 1 in 50 Germans owned a car. That’s where Volkswagen comes in. In 1937, the German Labour Front established Volkswagen. Translating to the people’s car, Volkswagen cars were designed to be affordable so more German citizens could have one. Today, Volkswagen, the largest automaker in the world, seeks to marry the science of engineering and the art of styling to make attractive, safe, and environmentally friendly cars. 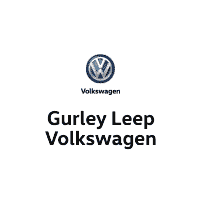 Joining the Gurley Leep Automotive Family in 1996, Gurley Leep Volkswagen is part of Gurley Leep Motorwerks where the finest sales professionals sell the finest European Imports. Whether you’re looking for a new, used, or certified pre-owned car, we’re here to answer any questions you have and help you find the perfect car for you. We’re committed to giving you the excellent car-buying experience you deserve. Don’t forget to check out our buying vs leasing page to help you decide which works better for you. When your car needs service or maintenance, our service department is ready to take care of you whether it’s a bulb change or a major repair, our Volkswagen Certified Technicians can get you back on the road and give you peace of mind. Prefer to do it yourself? Our parts department will find the parts you need. Visit us at Gurley Leep Volkswagen, 4004 North Grape Road Mishawaka, IN. 46545, serving the automotive needs Mishawaka, South Bend, Elkhart, and Niles (MI). See for yourself the pride we take in our company, but mostly the pride we take in our customers.